Sport video game modders, you’ve finally gone too far. To be frank, I’m not all that mad at the mod that overlays the bodies of NBA all-star players onto the animations of a league dance team. It’s hilarious watching Steph Curry, Lebron James and other hoop greats getting loose at halfourt. 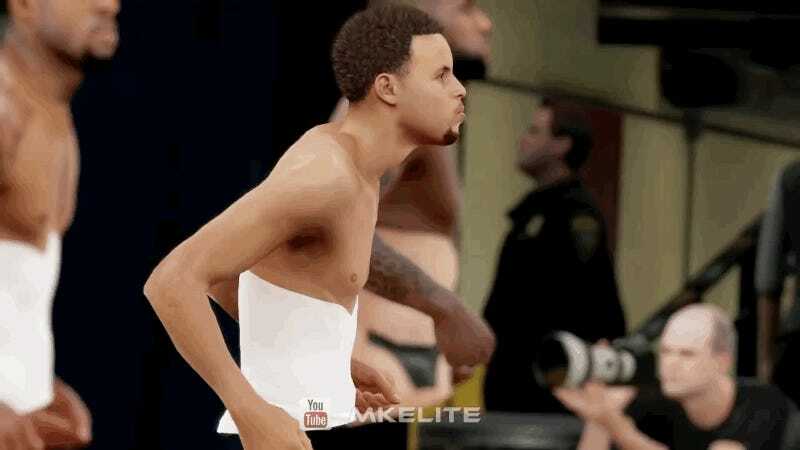 But the disturbing part of this NBA 2K16 abomination by veteran modder MkElite is the disappearing crotches. Are those pelvises still there but invisible? Or has the perversion of code made Bron’s junk non-existent? Your nightmares hold the answer.